Vaccinate your pet for life for just £99! Vaccinations are essential to protect your dog or cat against diseases, some of which can be fatal. 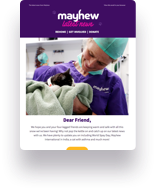 Sign up for our Booster Bundle and you can vaccinate your pet for life for a one-off payment of £99. a) Distemper, Infectious Canine Hepatitis, Parvovirus and Leptospirosis (dogs). To qualify for Booster Bundle your pet must have completed their primary course within the previous 12 months. You will be required to show a completed vaccination card from a veterinary practice at your pet’s first visit if this course was carried out at another practice. You will also need to provide evidence of booster vaccination, if your first visit is not for a first annual booster, and was administered at another practice. When puppies and kittens are born they receive some natural protection against disease from their mother’s milk, however this protection is only temporary and declines in the first few weeks of life, leaving them at risk of infection and disease. Your vet will vaccinate your puppy or kitten at around 8 and 12 weeks of age to counteract this. However, the vaccines don’t usually become effective until 7 – 14 days after both doses have been given. As such, it’s essential to keep your pet away from both other pets and places they might have been, to protect them from harm. Our low-cost vaccination services are available to everyone, regardless of income or situation. Our dog and cat vaccination clinics are held on Thursday and Saturday mornings, by appointment only. Please call to book your vaccination appointment.